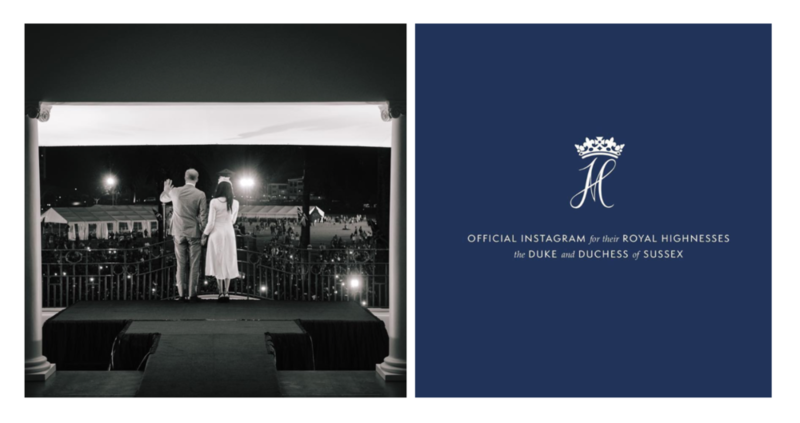 Prince Harry and wife Meghan Markle debuted a new Instagram this week, promising to keep fans abreast of “the work that drives us, the causes we support, important announcements, and key issues.” Their handle, @sussexroyal, amassed 3.5 million followers in a matter of hours, bursting at the seams with eager royal-watchers, and breaking the photo-sharing app’s record for how quickly it garnered 1 million followers. One person that is not following the account? Kevin Keiley, the man whose Instagram account bore that exact handle until just a few days ago. 55-year old Kevin Keiley woke up this week to find that his Instagram handle had been changed. No longer @sussexroyal, a play on the Reading FC’s “Royals” nickname, the account now has two additional characters and reads @_sussexroyal_. The West Sussex-based man says that he was alerted by way of a text from his son about the change; he was not given any forewarning or any options by Instagram. The Facebook-owned photo sharing app simply changed the name of his account. More than that, the terms include a provision that states that Instagram can simply “refuse to provide or stop providing all or part of the Service to you (including terminating or disabling your account) immediately” for any reason (save for a discriminatory one) or no reason at all. In Instagram’s words, it will only do so “to protect our community or services,” which could, in theory, include its ability to cease providing a user with a specific handle. A rep for Instagram stated that its terms allow it to make changes to an account if it has “been inactive” for a certain (unspecified) amount of time. Still yet, because Instagram is a private entity, and not a governmental agency, for instance, the ramifications for it taking one party’s handle and giving it to another are relatively straightforward. Unlike in a case of eminent domain, which is when the U.S. government takes privately-owned property, such as land, and converts it into public use, it must “provide just compensation” to the property owners. Instagram can – and as indicated in the case at hand, will – take your handle and reassign it if need be, without any legal basis for compensation whatsoever. Based on Instagram’s terms, which its users agree to upon joining (and continue to assent to by using the free app), it is that simple, even if an Instagram user has spent time, energy, and maybe even money to build up an account under a specific handle. The one place where Mr. Keiley would seemingly have a seemingly merited claim (albeit only a theoretical one given the facts at hand) would be if his handle were a legally-protected trademark. If Keiley had a registered trademark for the name that appears in his handle (Instagram does not honor common law trademark rights), and Instagram assigned away his trademark-protected handle to another person or company to use in a way that is likely to cause confusion amongst consumers, that would be a different story. In that case, Keiley could initiate trademark infringement proceedings against the new user and potentially Instagram, as well, not for the potential conversion of the account but based on trademark claims. Even then, however, is it not the Instagram account that would be Kelley’s property; ownership here of the account, itself (as distinct from the intellectual property in the imagery and maybe, the name) lies squarely with the app owner. It is the trademark-protected name. “Kevin admits that he didn't have that many followers and didn't post often – but he would use it to like and follow other people's posts,” according to the BBC, and thus, is not a brand or an influencer actively bringing in revenue in connection with his account, meaning that this likely will not result in legal action. Nonetheless, there is a bigger issue worth paying attention to here. Forget tangible assets, such as real estate or machinery for a moment. Consider the value that an Instagram account or other social media presence, particularly a well-named, highly-maintained one, brings to the businesses of companies and individuals. These digital properties are becoming so valuable that individuals are giving an increased amount of thought to what will happen to them upon their ultimate demise or what happens to valuable digital assets in the case of divorce, hence, the rise of digital-specific considerations in pre-nuptial agreements. Yet, at the end of the day neither businesses or individuals actually have any ownership stake or guarantee in the enduring viability of such accounts. In fact, it is striking how much reliance is consistently placed by brands on these very things, which are not technically under their ownership umbrella (or really within their ultimate control), but instead, exclusively the property of the social media platform operators, and subject to the discretion of the platform operators. With all of this in mind, this very well might be an area where we will see potential legal squabbles in the future.